There’s an inherent truth about the world that must be accepted if one is to enjoy this film; that Stephen Sondheim is a genius. Understand that, and you’ll be on your way to appreciating some of the finest musicals of the last 100 years. Forum, Follies, A Little Night Music, Sweeney Todd, Sunday in the Park with George, Into the Woods; his plays are masterworks with a score that will blow your mind if you let it. The music is always so complicated that it can be off-putting to someone who isn’t used to it, and the subject matter of his shows is odd to say the least. But it’s genius, it truly is, and I challenge those of you who are not big fans of musicals to sit down, watch some Sondheim, and try to feel what so many of us feel. A stage version may be the most appropriate place to try that out, but you could do worse than the movie versions that have come from his work: the new Into the Woods, the Johnny Depp Sweeney Todd, and the 70s A Little Night Music. Frederick Egerman is a successful Austrian lawyer who is starting life anew. His wife died some years previous, and he has recently married a beautiful young girl named Anne, a virgin on their wedding day and a virgin still, much to Egerman’s chagrin. He’s too old for these games, too old for such a vibrant wife, and too besotted to do anything about it. But his old life is about to catch up with him in the form of a lost love. Desiree Armfeldt, the famous actress, is in town, and she remembers Egerman fondly. The two rekindle their affair, but it’s not as easy as when they were younger. For one, Frederick is married, for the other, Desiree has a jealous lover, Count Carl-Magnus Mittleheim, married himself. These complicated relationships are made even more so by a trip into the country to the Armfeldt estate, a place where everything is sure to go wrong. This was one of Elizabeth Taylor’s final major films, before she began acting more in television series, made-for-TV movies, and eventually nothing at all. She died in 2011 at the age of 79, and remains to this day a memorable figure of the end of Hollywood’s Golden Age. In this film, she plays a washed up star who’s too old to do much other than give love one last, desperate chance. Not bad casting, and even a weak voice doesn’t hinder how well she plays the characters of Desiree. Len Cariou is just as odd but perfect for his role, the somewhat sad Frederick Egerman. The side characters are terrifically comical; Erich the frustrated youth, Anne the innocent beauty, Count Mittleheim the boorish soldier, Charlotte his cunning wife. 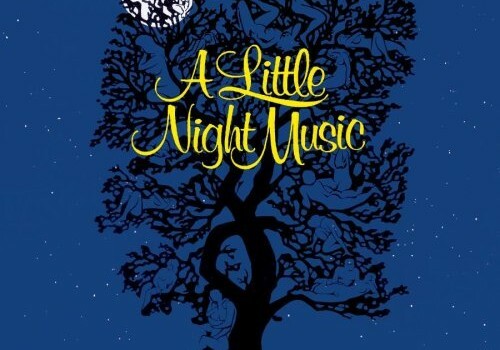 This is a wonderfully enjoyable story that Sondheim crafted with great talent, capping it off with music that will both challenge your ear and stick in your head.